Travel - How Do You Think? 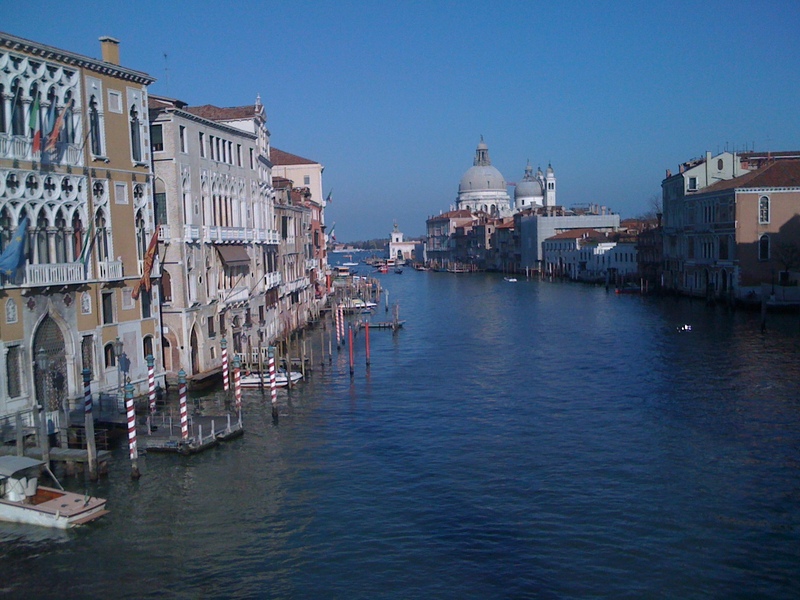 A Vacation Without Essentialism? No Way! I just spent two weeks in Europe with my fellow adventurer and wife visiting the relics of times gone by. 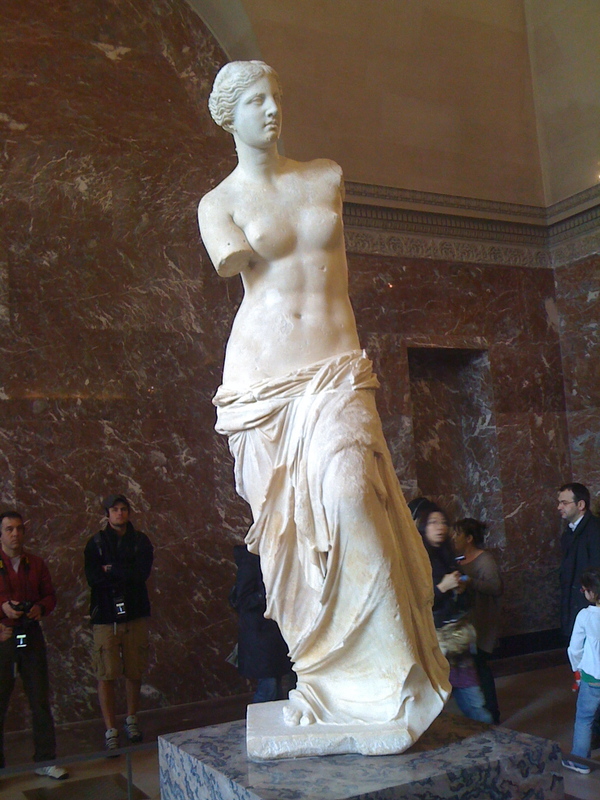 In the Louvre we peered upon works laid down well over two thousand years ago by Greek sculptors as well as by Roman, Middle Age, Byzantine, Gothic, Renaissance, and Baroque artists. We admired the Impressionists at Musée d’Orsay. We then traveled to Venice, a city that blended Byzantine, International Gothic, Renaissance, and Baroque art and architecture in a way that is unique to this breathtaking city. It’s Eastern influences are palpable. Then on to Florence, the home of the Renaissance, which proved to be a showcase for the works of da Vinci, Botticelli, Titian, Michelangelo and many others. 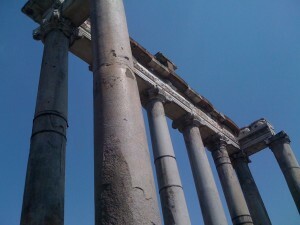 When In Rome, we focused on the age of the Empire devoting our attention to the Colosseum, Palantine Hill, the Roman Forum, the Pantheon, and our day trip to Pompeii. We didn’t prioritize the treasures at the Vatican or the many other indoor sites. Between the Louvre, Orsay, Uffuzi, and the many works within the countless Basilicas and churches we had previously visited, we had had our fill of crowded indoor shrines. Here we largely delved into the out of doors. The Pantheon was far more striking than I had imagined. 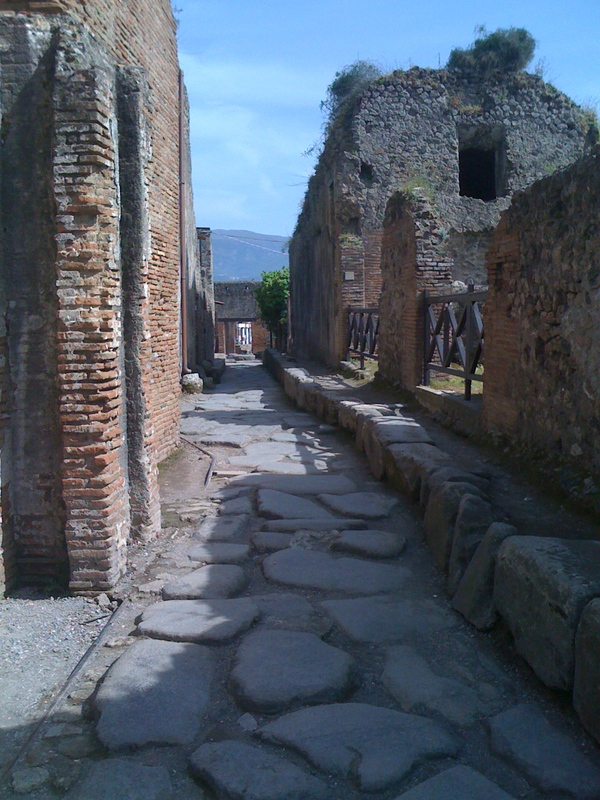 And Pompeii, wow! It has to be seen to be appreciated. All this is relevant because although you can see it at home, it is just not the same. 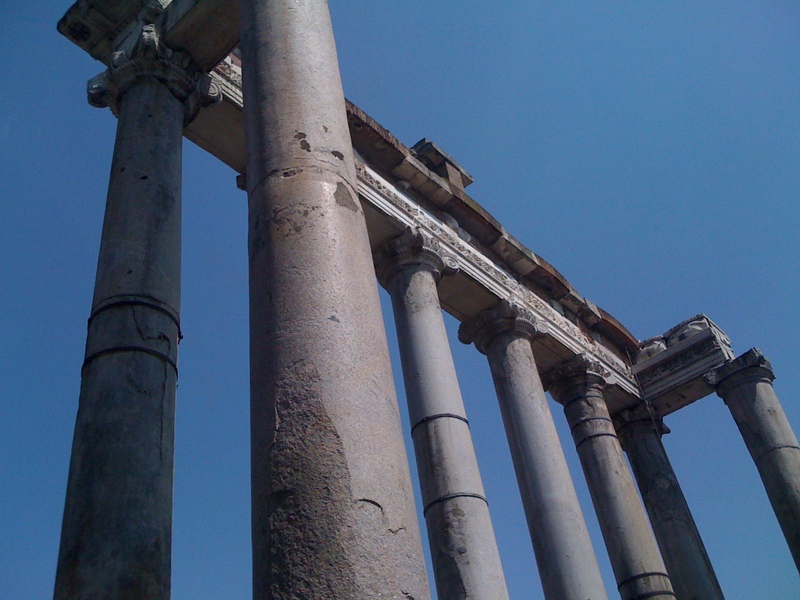 Go to Google Maps and search for Pompeii. You can tour the site using street view. Or get a book or watch Travel Channel or History Channel episodes on these great destinations. I guarantee it won’t be the same as seeing it in person, touching it, feeling it, or breathing it in in-vivo. No duh, right? Well, what is it about seeing the “real thing?” Why was I moved to tears to see a statue of Galileo in Florence? Why was it exciting to walk the same basalt cobbles in the Roman Forum as historical figures such as Julius Caesar, Brutus, Marc Antony, and Augustus? Why were there throngs of people gathered around da Vinci’s Mona Lisa? All over Paris, Venice and Florence you could find “descent” replicas (prints and even posters) – yet these images gathered no lines. The answer is essentialism. There is nothing on the streets left by these famous people that magically imbibes the stones with a quality that makes them somehow special. They don’t contain anything truly special at all. I absorbed nothing by touching them or by looking at da Vinci’s or Michelangelo’s original works. And my personal telescope is far more capable than any Galileo original. 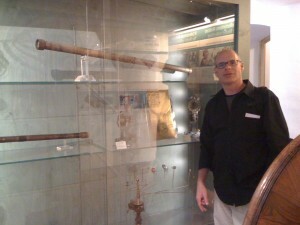 But it was very exciting to see two of the scopes that he himself had made. I knew that there was an irrational magical quality to these experiences. I knew I was cognitively embellishing all the aforementioned relics; however, I was able to let go, and enjoy the emotional implications. I did, however, find myself less inclined to part with my few and precious Euros for sentimental mementos (made in China) to remember this trip by. 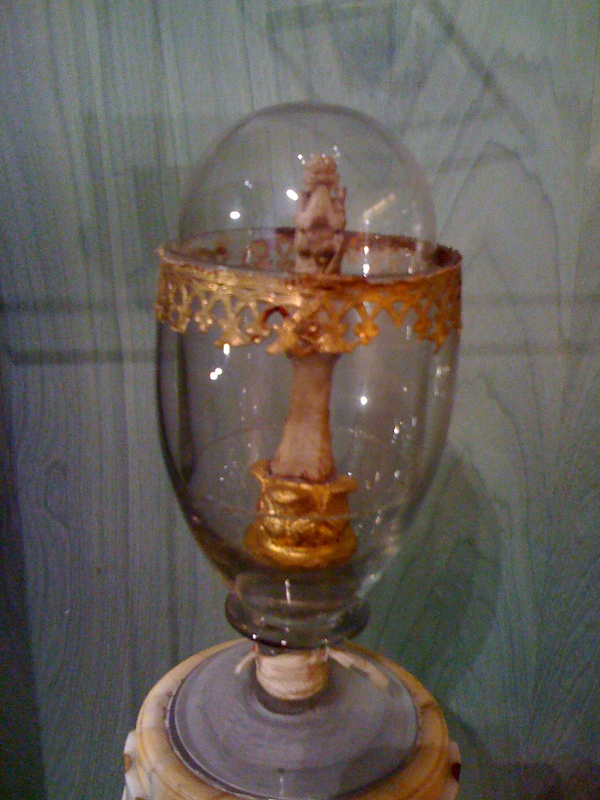 According to the website at the Museo di Storia della Scienza Galileo’s finger was detached by Anton Francesco Gori on March 12, 1737, when Galileo’s remains were moved from the original grave to the monumental tomb at Basilica di Santa Croce in Florence. 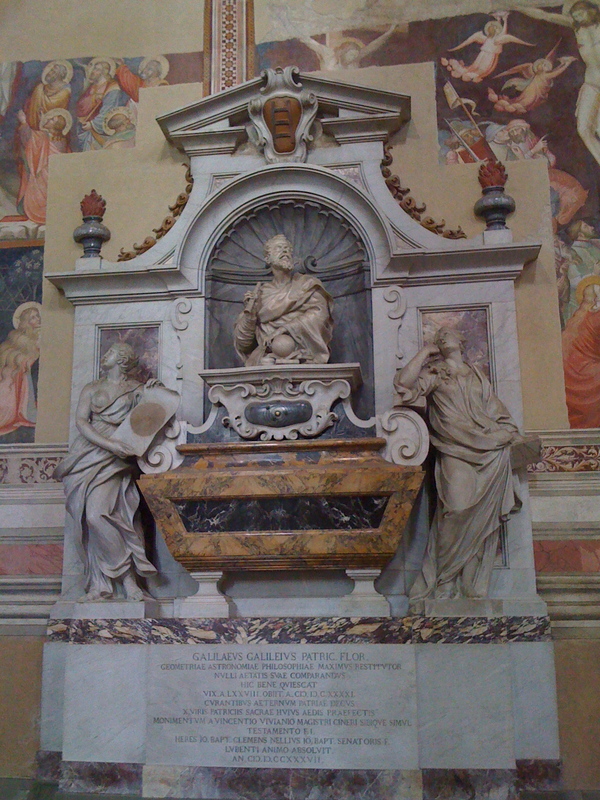 The finger became the property of Angelo Maria Bandini and was long exhibited at the Biblioteca Laurenziana. In 1841, the relic was transferred to the just-opened Tribuna di Galileo in the Museo di Fisica e Storia Naturale. Together with the Medici-Lorraine instruments, it was eventually moved to the Museo di Storia della Scienza in 1927. 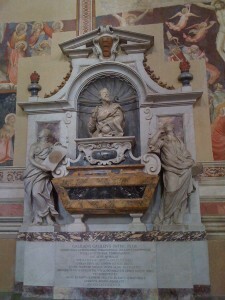 On the marble base is carved a commemorative inscription by Tommaso Perelli.